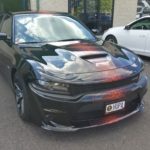 Portland Custom Wraps is the new home for custom vehicle wraps in Portland, If you plan on wrapping your fleet or just want to create a custom one of a kind look for your daily driver. 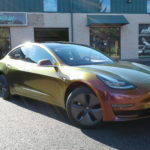 PCW is ready to take your vision and make it a reality, our 3M certified installer and in house design team ensures your vehicle is done right and stands out in the crowd. 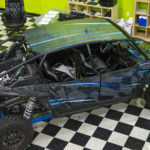 Portland Custom Wraps takes the ordinary and makes it custom. Whether you want a single color wrap, two tone, or completely custom design we have you covered. 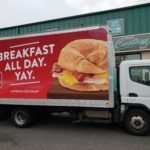 Wrapping your fleet or commuter vehicle is not only a great way to look uniform and professional, it has been proven to boost revenue, increase impressions and gain trust in potential consumers. Discounts available for wrapping multi vehicle fleets. Next time you’re on the water look good and protect your asset. We provide a custom and unique look for fishing guide services, boat tours, and more. You provide the fun. I spend a lot of time on the water and noticed my boat looked similar to other boats and was aging. 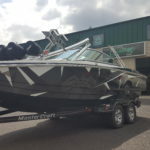 I took it to Portland Custom Wraps and now my boat looks great and is one of a kind! Customize your ride, customize your look, customize your life. From color graphics, textures and embossing we’ve got you covered. Tell us what you want wrapped and we’ll get in touch and provide a personalized quote.